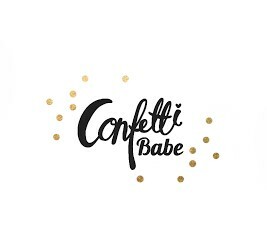 Confetti Babe: Pink and Gold Giveaway! Instagram has been so good to us and many other mama shops out there! Our first collab giveaway ever is up on our Instagram page. Once our blog is officially running, we promise to have some up here too! In the meantime, we have three mama bloggers signed up! We're looking for 2 more and cannot be more excited to officially launch! Hello from Brittney & Kendalynn! From Diaper Bags to your "Mom Purse"
Babe Style :: Brenna Turns 1! Stella and Crew Wear Our Headbands!